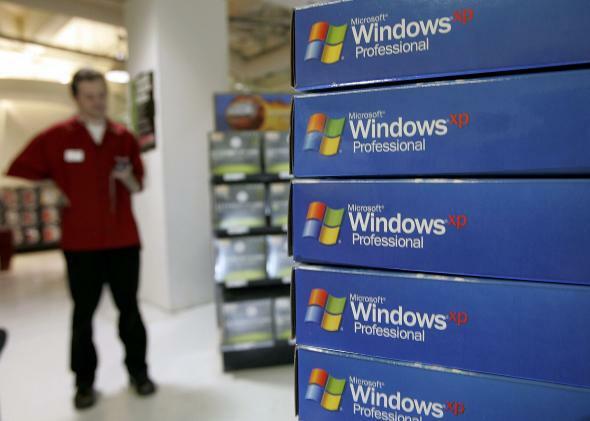 Navy pays Microsoft $9.1 million to continue supporting Windows XP. This photo was taken in March 2006 at a CompUSA, because that was a normal time and place to be talking about Windows XP. The transition away from Windows XP was so traumatic that I think we would all just like to put it behind us and move on. If we’re being honest with ourselves, though, we know that that’s not going to happen. The U.S. Navy’s Space and Naval Warfare Systems Command is spending $9.1 million to extend a contract from April that requires Microsoft to continue offering support for XP, Office 2003, and the email system Exhange 2003. SPAWAR reported in April that it still had about 100,000 computers running XP. This contract includes options which, if exercised, would bring the cumulative value of this contract to an estimated $30,842,980. Work will be performed globally and is expected to be completed by July 12, 2016. If all options are exercised, work could continue until June 8, 2017. Not that the Navy doesn’t have important things to do, but keep in mind that Microsoft gave years of warning before discontinuing general support for XP. The Navy has had a plan to migrate away from XP since last year. But just this week, space and naval warfare systems command spokesperson Steven Davis told ZDNet, “Nearly all the networks and workstations afloat and ashore will benefit from the Microsoft Premier Support services and Microsoft Custom Support services for Windows XP, Office 2003, Exchange 2003 and Server 2003.” Sounds like there hasn’t been a ton of progress. The Navy isn’t the only defense division struggling to upgrade, though. As Ars Technica points out, the Army announced in April that it would require a similar contract with Microsoft to support about 8,000 devices using XP. As of Thursday, NetMarketShare.com was still listing XP as the second most adopted Windows version after Windows 7. Windows 8.1 is finally in striking distance to overtake XP, but really the whole situation is just pitiful at this point.